Pioneer Road Long Day Care Centre is an early learning centre catering for thirty nine children per day, fifty weeks per year.We are a privately owned family business established in 2005 to provide families in the area with the highest quality learning and care environments. We are passionate advocates for each child’s right to a preschool experience that inspires, creates thirst for knowledge and exploration and kindles passion for learning and discovery. All of our educators work hard to establish and maintain a learning curriculum and environment that provides a strong foundation of trust, respect, safety and reciprocity ensuring children feel secure, nurtured and supported. We believe in all children’s ability to succeed and work to provide a preschool experience that engages children, encourages involvement and inspires them to be active participants in learning. We place the highest importance in creating partnerships with families, working in collaboration to provide the most meaningful and individual journey for each child and family. Please continue to explore our website and learn more about our centre and how we can cater to you and your family’s needs. Please don’t hesitate to contact us for more information. 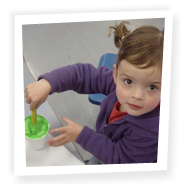 At Pioneer Road Long Day Care Centre we provide a diverse array of learning opportunities aimed at promoting children’s learning and development and which cater to the whole child. This means that within all of our programming the children’s interests, needs, strengths and abilities are given full consideration. It is our goal to develop secure and respectful partnerships with children to scaffold their development on their preschool journey. Our centre is divided into two rooms. Our preschool room, for two to three year olds and our Transition to School Room for four to five year olds. Our rooms allow us to provide learning environments and experiences that are relevant, age appropriate and henceforth promote independence, a positive self image and form friendships. 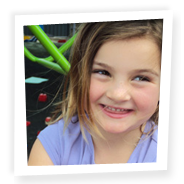 Pioneer Road Long Day Care has developed a program specifically aimed at promoting a level of continuity between preschool and formal schooling. Through the implementation of similar learning content and a similarly structured environment, designed by the Early Childhood Teacher, we hope to create a positive and effective beginning to school for children.